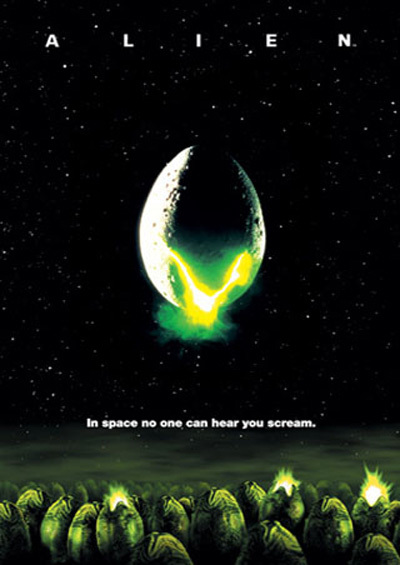 This entry was posted in Uncategorized and tagged Alien, Ridley Scott, SHU, Sigourney Weaver, Space. I think you’ve hit on what makes this movie great. It’s not just the unstoppable monster or the scenes of shock and gore. It’s the storytelling, including the atmosphere. 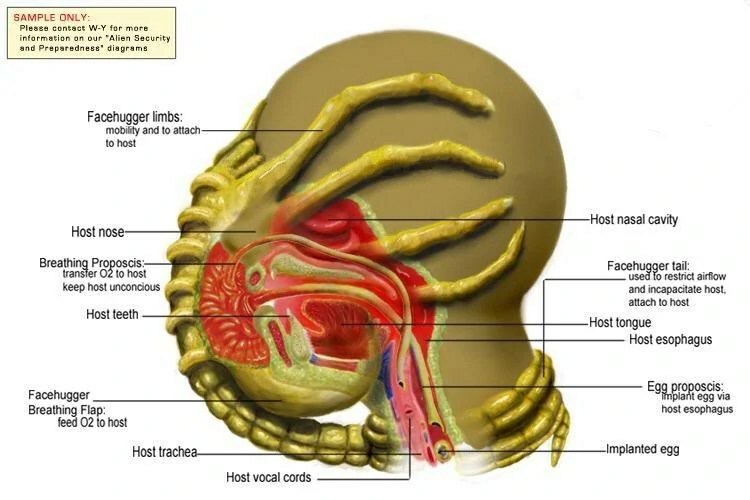 The baby alien bursting out of Kane’s chest is great and scary and deserves its “classic scene” status, but the true horror of the movie comes after that. Never quite knowing where the alien is or what it, is but knowing it’s there, lurking somewhere…awesome. As for the sets and atmosphere–watching Alien on a big screen in a dark movie theater, you really feel like you’re *on* the ship. Definitely ups the creepy factor. Still effective on this viewing, but I missed that with my small screen and lit living room. No, but seriously the atmosphere is almost a character unto itself. Even with some of the tech now looking a bit clunky, it still feels realistic, almost like the innards of a cargo airplane. I could totally see a mining ship–even one designed tomorrow–looking like that. And yet it’s still a bit eerie, dark, and mechanical, which is kind of how the alien itself looks. You make a good point about the lighting in Kane’s death scene – it really makes it stand out from the rest of the film. Almost all the other alien attacks are a blur of close ups and off screen violence. Like everyone said, the atmosphere is what makes the movie work. The atmosphere combined with the setting help up the horror. It’s much harder to run away in space, and like the tagline says, no one’s exactly close to swoop in a save the day. I kept wondering why the ship was so BIG yet had a crew of seven. Even if there wasn’t a vicious alien creature, you could take a wrong turn going to the bathroom and never find your crew mates again on that thing. The size and complexity of the ship itself was terrifying. Even with others it was still scary, the ship was too big for seven to make it feel populated. So, I had to look this up too. Evidently the Nostromo is a towing ship and they were pulling a refinery and several million tons of unrefined ore. So I pictured a tow truck pulling several large semi-trucks. I like that you mentioned that everything was “dark and cold and wet”. For some reason the wetness and slickness of the setting just made it creepier. Maybe because when metal is wet it has the same kind of sheen that the alien’s head does. Or the wet is reminiscent of alien drool and goop and blood.